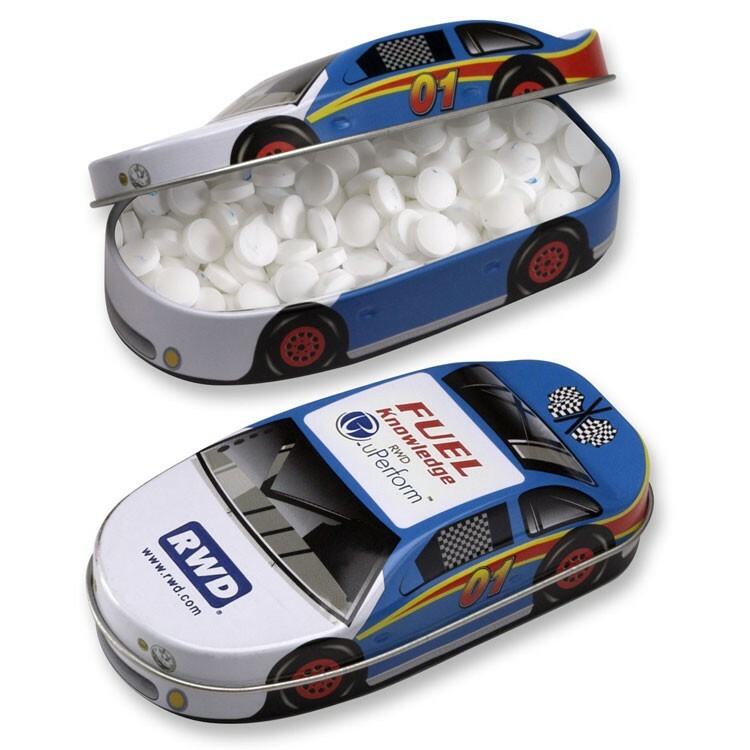 Stock blue and white race car tin with mints. Race car graphics-there''s no better way to say "fast", "high performance" or "race" when promoting your product highlights or speed of service. With two imprint areas, there''s enough room for co-branding programs or your logo and message. Please specify mint on order. USA made sugar-free mints. Tin is recyclable and shrink wrapped for your safety. Contains approx. 1 oz. (30-32g). Dimensions: 3 1/2" x 7/8" x 1 7/8". 3 1/2" x 1 7/8" x 7/8"
Imprint Area: Roof 1" x 5/8" / Hood - 1 1/8" x 3/8"